The Hanukah lamp has been on loan to the Jewish Museum since the 1930s and has been on display for over 70 years. LONDON.- London's Jewish Museum today announced that it is getting closer to saving a 300 year old Hanukah lamp for the nation, thanks to the support of independent charity The Art Fund and other funding bodies. 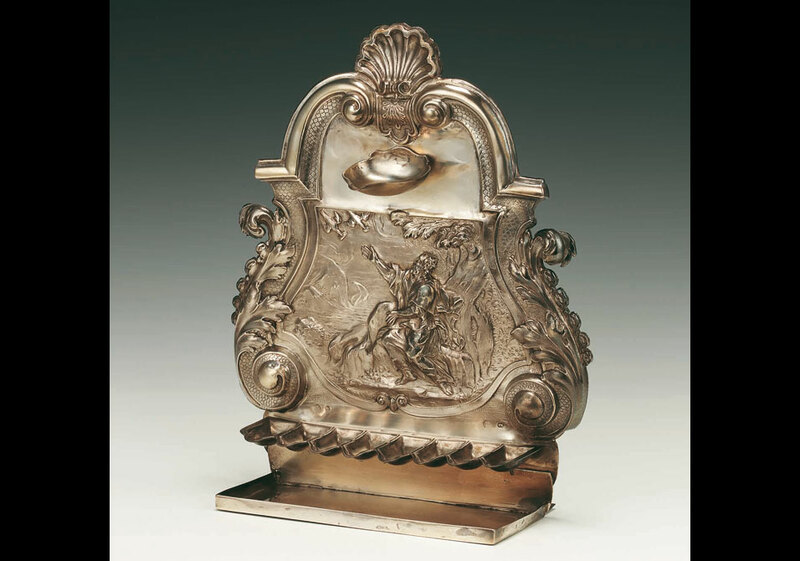 The 'Lindo lamp' is the earliest known English Hanukah lamp and is one of the most important treasures of British Jewish heritage in the museum. The Hanukah lamp has been on loan to the Jewish Museum since the 1930s and has been on display for over 70 years. It was commissioned from silversmith John Ruslen in 1709 on the marriage of Elias Lindo to Rachel Lopes Ferreira. The Lindos were prominent members of the early community of Spanish and Portuguese Jews in London and founder members of Bevis Marks Synagogue, established in 1701. Eliass father, Isaac Lindo (1638  1712), fled the Inquisition in the Canary Isles and settled in London in 1670. The backplate of the Hanukah lamp is chased with the figure of Elijah fed by the ravens, in a play on the patrons Hebrew name. The Jewish Museum is currently underway with a major £10 million Development Project, part funded by a £4.2 million grant from the Heritage Lottery Fund, and plans to reopen in early 2010. The expansion will triple the space at the museums flagship Camden Town premises, bring together the collections, displays and activities of its two former sites and create new education facilities and exhibition galleries with hands-on displays for children and families. The lamp would be on public display in the newly developed gallery, Judaism: A Living Faith, housing the museums magnificent collection of Jewish ceremonial art which has been awarded Designated status by the Museums, Libraries and Archives Council in recognition of its outstanding national importance.